From the creators of Madagascar and Kung Fu Panda comes this hilarious family adventure that proves no dream is too big... and no dreamer too small. 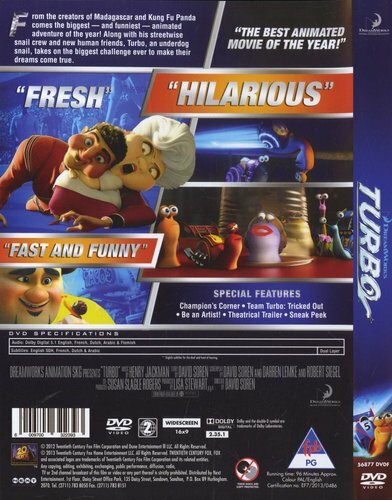 When an ordinary snail named Turbo acquires the power of super-speed, his life kicks into overdrive! 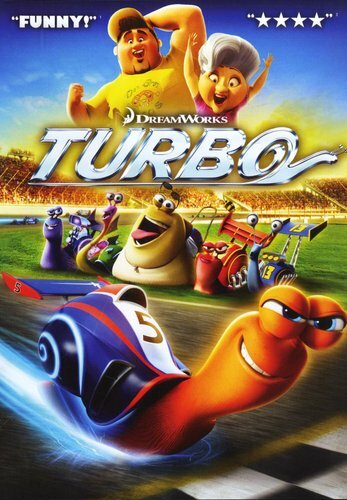 With the help of a struggling taco stand owner and a streetwise snail crew, Turbo will attempt to race in the Indy 500 and make all their dreams come true.